The changing atmosphere and eating habits have had a massive effect on the human body. With time, people have started to work more and do not rest as much as they used to. On top of that, changing weather conditions have also affected their health. Eating unhealthy diet has become a norm, because many people cannot find the time to cook their own meal. As a result, many people experience dull skin and frizzy hair, because they do not get proper nourishment. Shilajit usage as a natural hair treatment is the core purpose of this article. When it comes to your hair, it is very important to maintain a healthy diet. The necessary nutrients from your food supply minerals to the roots of your hair and give them life. However, if you feel like your hair is not getting a proper nourishment it needs, add shilajit as a natural supplement to your diet. Nor will it give volume to your hair, but also make them strong and healthy. Unfavorable weather, poorly managed lifestyle, and junk food adversely affect your overall health. Many people experience frequent hair fall throughout the year, because they cannot take care of it. Zinc and Iron are two vital elements for a good health of your hair and shilajit is rich in these minerals. Iron plays a very important role in the human body. It helps in the production of red blood cells, which supply oxygen to your body. Zinc, on the other hand, is necessary for proper growth and maintenance of the human body. It also regulates the immune system and helps in healing of wound and blood clotting. Zinc also plays a major role in thyroid function and also improve the functioning of white and red blood cells. Frequent hair fall can be a result of anemia or iron deficiency. But even if you do not have anemia, there may be a low level of iron that is harmful to your body and makes your hair thinner. Shilajit has these elements in abundance. Therefore, adding it to your diet will help you recover from iron and zinc deficiency and as a result, your health will recover quickly. Although, zinc is present in sufficient quantity in a regular diet, yet, some people find it hard to absorb. In such cases, adding shilajit to your diet will help you recover from zinc deficiency quickly. It is best to take the supplement with lukewarm milk in order to enhance its effectiveness. 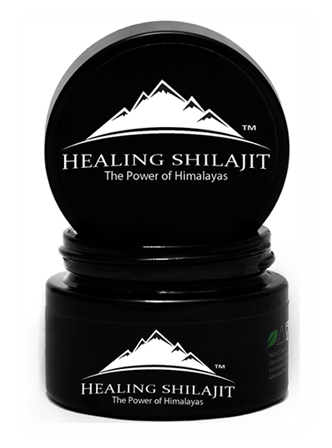 Magnesium is another element in shilajit that plays an important role in the human body. It is helpful in maintaining nerve function and strong muscles; keeps your bones strong, and support a steady heartbeat. It also regulates blood sugar level and metabolism of the human body. 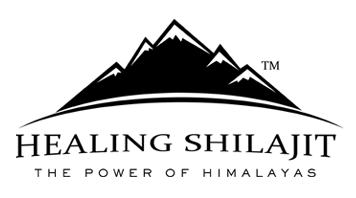 Therefore, when you take shilajit, it gives the necessary nutrients to the scalp, which eventually leads to the growth of healthy and strong hair. Although, you might not even notice that you take an improper intake of magnesium until something happens. It can lead to chronic conditions, such as high blood pressure or diabetes. By adding shilajit as a natural supplement to your diet, you will give yourself another chance to have healthy hair. In addition to nourishing your hair properly, you must also take care of it externally. Wash it regularly and massage your scalp with oil. Get a haircut on a regular basis. If you do that successfully, your hair will definitely be healthy and strong again. Always use shilajit product that is authenticated and certified by international labs to get the better results.